rickard jäverling, born and raised in borlange, sweden, and now living and working in stockholm is a wayward and productive musician. besides releasing material under his own name, jäverling is/has been part of constellations such as dodens dal, liljor and jäverling von euler. album 3, released on hoga nord rekords is his third solo album. 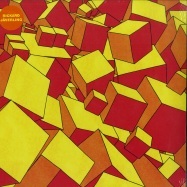 album 3 breathes psychedelia, dub, swedish folk, progg and continental vintage electronic music. the songs on this album are in a way like a compilation of short stories rather than chapters in a novel. the common factor in this album is jäverlings exquisitely worked out melodies and the warm, round production but the songs can, due to the rich storytelling qualities of each one of them, almost be regarded as small albums of their own! 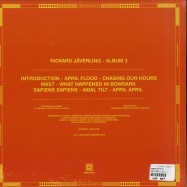 the music made by richard jäverling is an embrace, a relative with a house by the swedish west coast or a day off, midweek in april. this album is inviting and calming but also as solid and mighty as a dalecarlian beech tree.